SLW, is a low-risk, high-potential vehicle for investment. This article is about one of the few companies, in this age of global quantitative easing, for which I could advocate a buy-and-hold strategy. Silver Wheaton Corp is the world's largest precious metals streaming company. Over 75 percent of it's revenue comes from silver, the rest gold. Founded in Vancouver, Canada in 2004. Buys silver at approximately $4 an ounce (US) plus an inflation adjustment. Its silver streaming revenue has no ongoing capital expenditures or exploration costs. It has no exchange rate risk. When it comes to mines, silver knows no boundaries. It has been estimated that approximately 70 percent of all the silver being mined comes as a result of mining other metals. For example, a gold mining operation may find a small amount of silver when it is mining its gold. Silver Wheaton uses silver streaming to leverage this situation. Silver streaming is basically the purchasing of the silver that comes as a by-product of mining of other metals..
Silver Wheaton has a unique business model. It does not actually do mining. It pays, upfront, for silver from mines that it does not own or operate. These mines are located in politically stable regions around the world. They pay a low fixed cost for silver, with a small adjustment for inflation. "Silver Wheaton’s low-risk business model, which was designed specifically to create long-term shareholder value, has a number of unique aspects. At its core are multi-year agreements to purchase, at a low fixed cost, all or a portion of the silver production, and some gold, from high-quality mines in Mexico, Chile, Argentina, Brazil, Peru, Sweden, Greece, Portugal, Canada and the United States. The company has fixed operating costs, no ongoing capital expenditures or exploration costs, and no exchange rate risk. In addition, a large percentage of the company’s revenue is derived from low-cost and long-life mining operations and it does not sell forward its silver sales. All of this provides significant leverage to increases in the price of silver while mitigating the downside risks associated with traditional mining companies. Furthermore, Silver Wheaton has an industry-leading production growth profile, and it is very well positioned for further, sustained growth." Silver Wheaton's relationship with its partners is a win-win situation. Silver streaming allows Silver Wheaton to profit from the low-cost, low-risk silver it purchases from its partners and its partners are able to use the money from the sale of the silver to fund new exploration, production expansions, or by making acquisitions. Owning shares of SLW mitigates many of the risks associated with traditional mining investments. Additionally, shareholders have significant upside to increasing silver prices. Fixed costs reduce the shareholder's downside risk, and result in high cash operation margins relative to others in the mining industry. Silver Wheaton provides shareholders access to silver from some of the best mines in the world. It's unique business model can translate into significant value for shareholders. 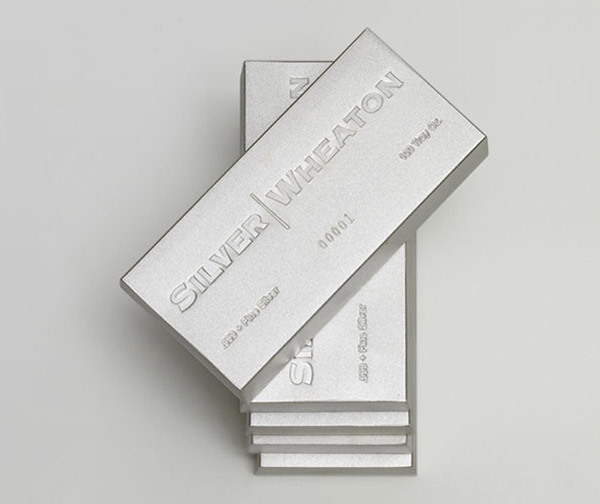 Silver Wheaton, Symbol: SLW, is a low-risk, high-potential vehicle for investment. It is one of the few companies, in this age of global quantitative easing, with which I could advocate a buy-and-hold strategy. If you are looking to take a position in a company that will give you exposure to silver, Silver Wheaton is the way to go.